Are you specifying sand and cement screed? Sand and Cement screed is a more traditional screeding option, which is still popular with many housebuilders. Laid by hand, sand and cement screed is ideal for floor constructions with an available depth of around 65-75mm. Our highly-skilled installation teams will lay your subfloor quickly and skilfully, detailing the post-installation processes required to optimise the performance of your chosen material. 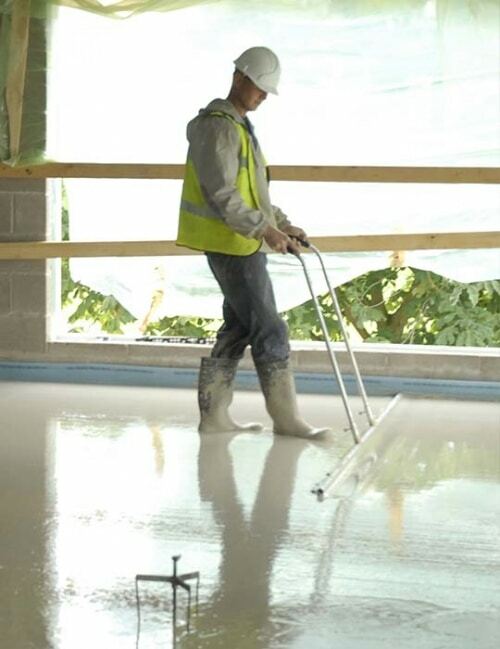 Not sure which screed is right for your project? Read more about our liquid and fast drying liquid screed mixes or call our dedicated sales team on 0808 253 5253.